A couple of weeks ago we finally watched Moana. I think it is a beautiful film and Athena loved it too. I love that the film has a strong female role model; Moana is the daughter of a Polynesian tribe Chief, and is chosen by the ocean to find the lost heart of a goddess Te Feti, the islanders are running out of fish and the vegetation is suffering. 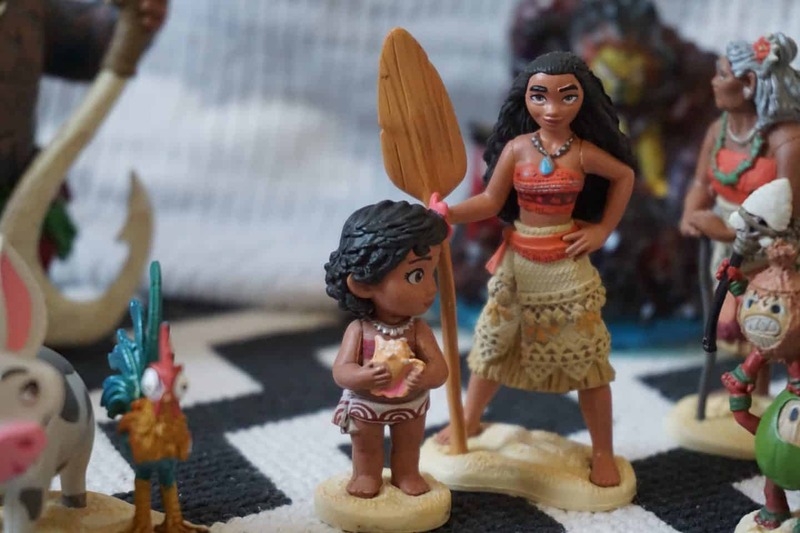 Moana proposes heading off to find more fish in the ocean but her dad, the Chief tells her not to. 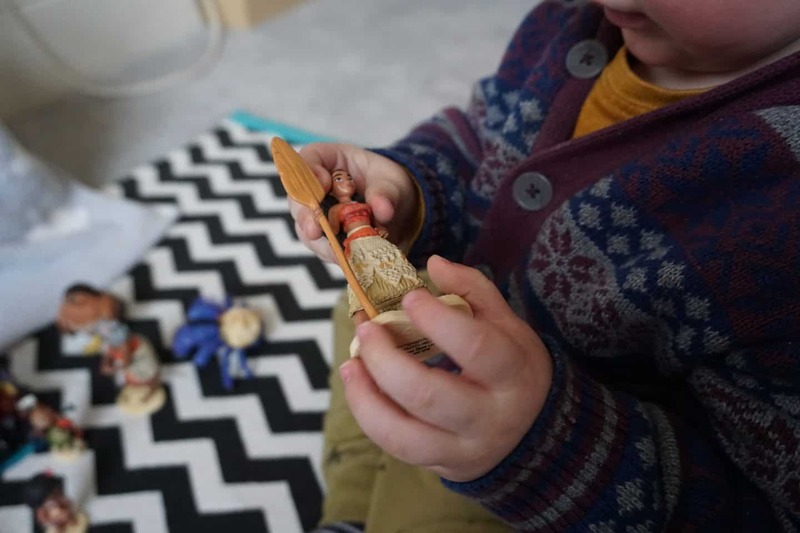 The story continues from there, adventuring on the ocean, coming across pirates, the evil god Maui , Tamatoa the giant crab & lots more fun characters! Eventually she returns to her own Island and helps the islanders to start journeying into the ocean themselves. It’s a lovely story exploring myth and family dynamics, and I think it will become a firm family favourite. I also loved that it had such a specific background, very different from the ‘could be anywhere, probably in a fairytale’ setting of many animated films. The Disney Store sent Athena over a cuddly Hei Hei (he’s Moana’s Chicken side kick, though there is a pig too!) and some figurines so we could re create some of our favourite scenes and use our imaginations! 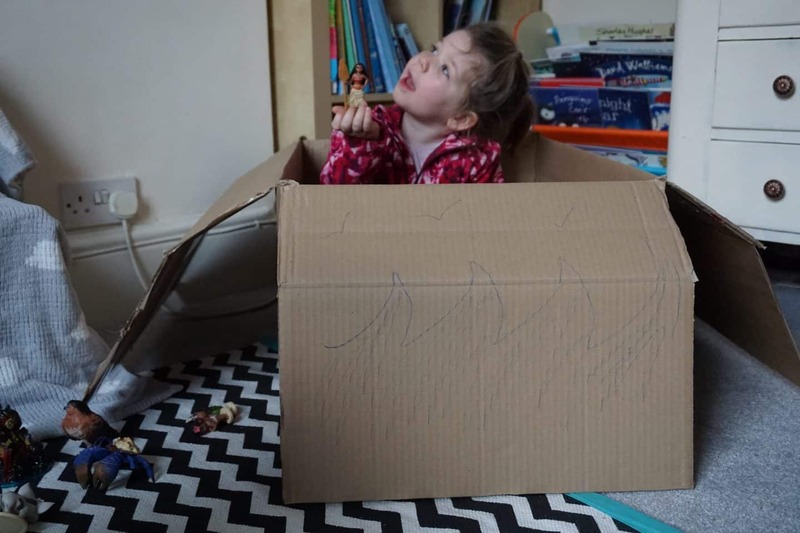 As well as playing with all the characters we set sail in our own (cardboard box) boat to have some adventures. I asked Athena where she’d most like to set sail to, and she said ‘Holiday’! I guess a three and a half year old doesn’t have much of an idea about the big wide world out there just yet, ready to explore some day. I probed a bit further and she said she wanted to go swimming, and then play in the snow! 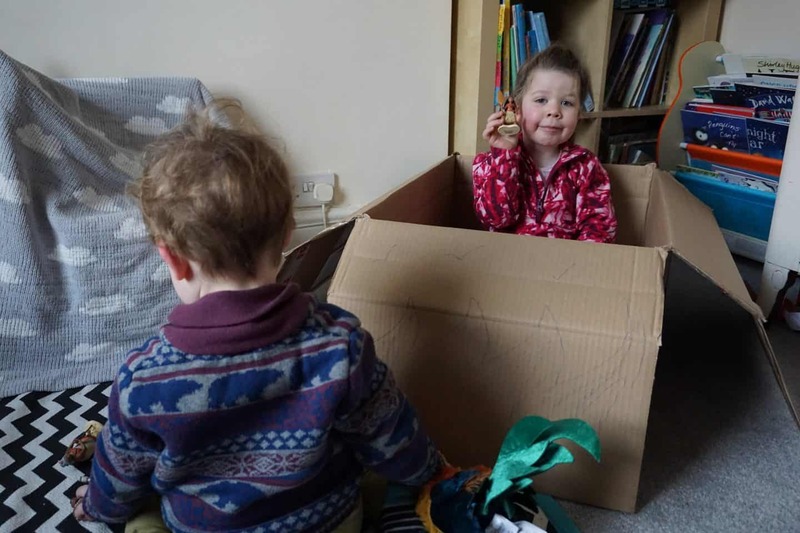 A cardboard box is always a huge hit in our house though, a couple of days later and there is a lot more crayon scribbling on the sides yet they still won’t let me chuck it out! It’s been a car, a house and a dinosaur so far! 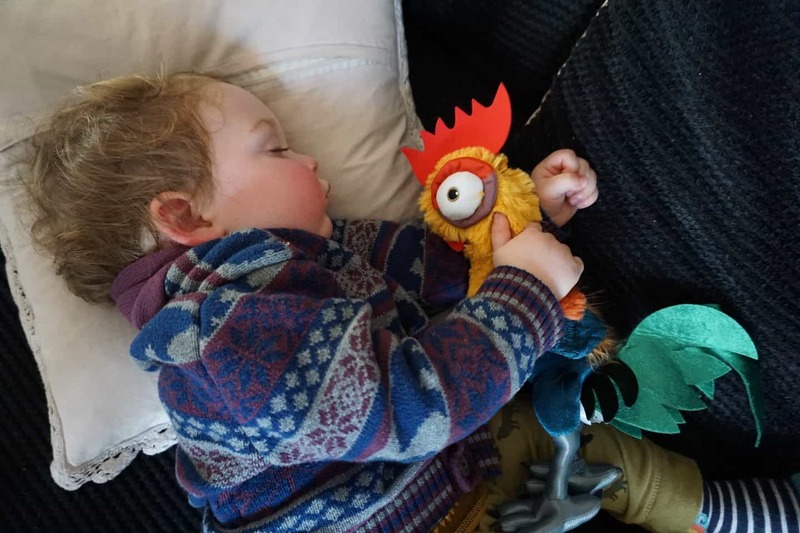 Although Arlo hasn’t yet seen the film, he is loving playing with the characters as much as Athena, although he thinks the crab is a ‘pider!’ He’s also claimed Hei Hei for himself, even napping with him tucked under his arm! 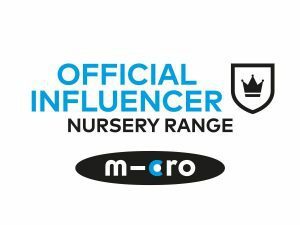 You can see the full range online here or in Disney Stores. Where would your kids sail off to, given the choice? Thank you to the Disney Store for sending us these toys, all words and opinions are my own. we haven’t seen this yet, as I wasn’t sure my son would be that bothered, but it sounds like such a fab movie. love all these strong princesses! We havent’t watched this movie yet. I am planning on introducing both kids to proper Disney movies soon though. My boy would watch Cars everyday.